Instagram's Photo Map feature was phased out in 2016. Although users can still tag locations in their posts and browse locations, users no longer have their own dedicated map tabs on their profiles showing the posts they tagged with locations. The steps in this article are no longer of use to current Instagram profiles, however we've left it for information purposes. If you enabled the Photo Map feature on your Instagram account, which can be found by tapping the little location icon on your profile tab, you should be able to see a world map with small images of your Instagram posts tagged in the places you took them. Unfortunately, sometimes we forget that we have our Photo Map option turned on and are too eager to share a new photo or video without turning the location off. If you don't know how to set a location on your photos or videos, you can take a look at this step-by-step tutorial that shows you how to do that. If you've already posted a photo or a video with a location that's attached to your Photo Map, there is a way to fix it. Open up the Instagram app on your mobile device to get started. 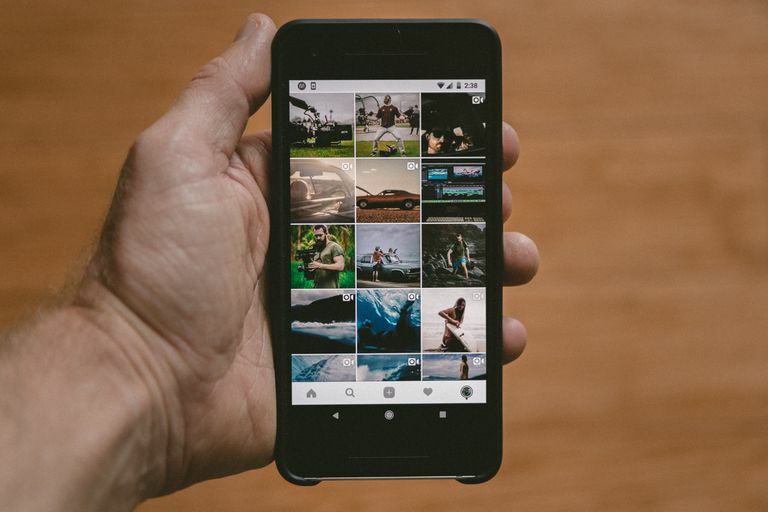 Navigate to your user profile tab inside the Instagram mobile app and tap the location icon displayed in the menu right above your photo stream to pull up your Photo Map. At this time, Instagram does not allow users to change locations on photos or videos that have already been posted. You can, however, delete photos and videos from being displayed on your Photo Map without deleting them from your Instagram feed. So, if you need to delete a location off of your Photo Map, the remaining slides in this tutorial will work for you. If you want to actually edit the location to a different one, you're fresh out of luck until Instagram brings more editing features to the Photo Map. Tap the option in the upper right corner of the Photo Map to start editing. On iOS, it should say Edit, but on an Android, there should be three little dots that will pull up the option to edit. Tap the collection of posts (or individual photos/videos) on the Photo Map to pull them up in an editing style feed. If you zoom in closer on locations, you can select more specific collections of posts to edit. Once you've selected the photos/videos to edit, you should see them displayed in a grid-style feed with green checkmarks on them. You can tap any post to take the checkmark away, which essentially removes the location tag to your Photo Map. You can also use the Select All or Deselect All options at the bottom if you want to remove large collections of posts from your Photo Map. When you're done unchecking the photos or videos you want to remove from your Photo Map, tap Done in the upper right corner to save your changes. To avoid sharing your location by accident, you need to remember to switch the Photo Map option (shown on the caption/posting page after editing a photo or video) from on to off. When you switch it on for a new post, it stays on for all your future posts unless you manually switch it to off again, so it's easy to unknowingly post photos or videos to your Photo Map without realizing it. To secure your Instagram data, even more, consider making your account private, or send private photos and videos to followers through Instagram Direct.